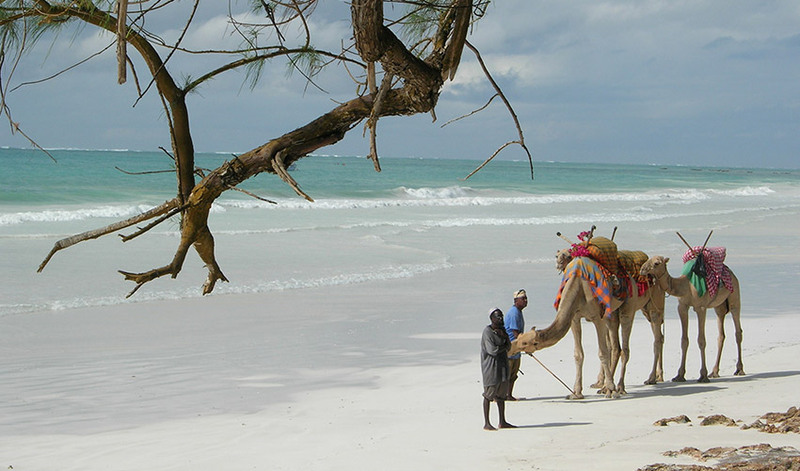 Welcome and pickup at the Mombasa International Airport then transfer to diani Beach, wellknown for its white-sands beaches. Check into Papillon Lagoon Reef Hotel then briefing and presentation of the motorcycles for the tour. Lunch followed by an enjoyable session afternoon at the beach. 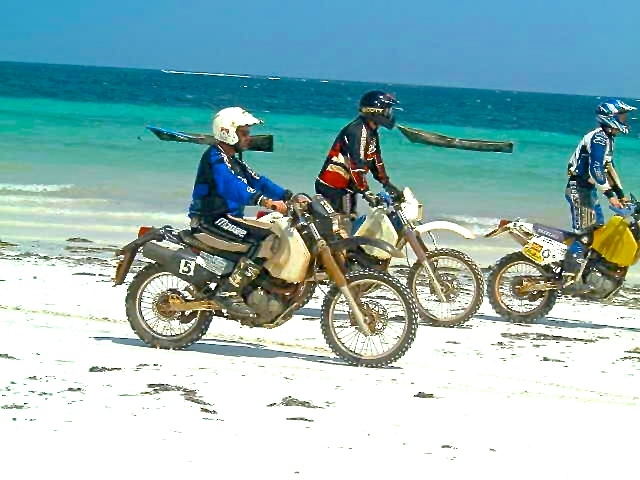 Put on the riding gear and set off immediately on a small track that runs along the beach and Diani ’s line of hotels then into other tracks that cross through lush green countryside. 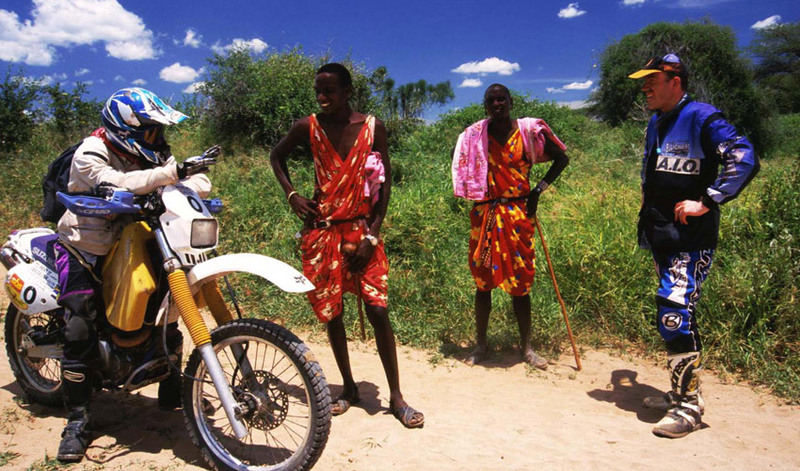 You will discover that the motorcycle is an ideal way to easily immerse oneself into one of Africa’s most authentic environments, bringing you into direct contact with the traditional villages of the Digo at Duruma peoples who live at the foot of Shimba Hills. 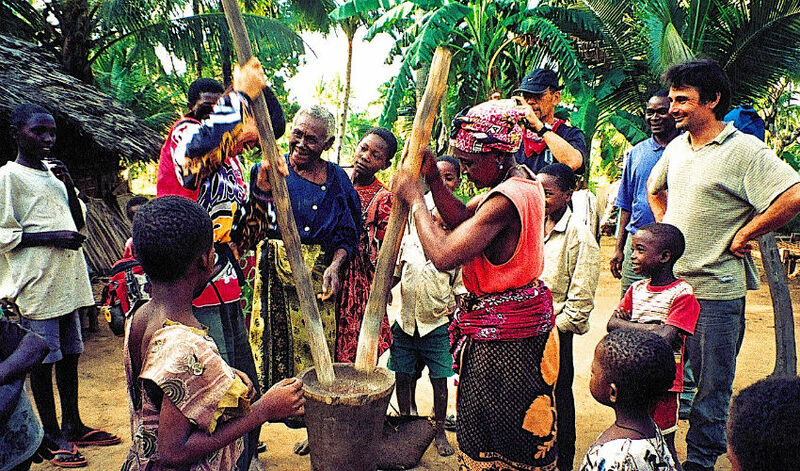 You will stop from time to time; to quench your thirst and to discover the customs of the local peoples: a taste of the refreshing coconut juice or a cooking of some of the cassava you see growing along the route. You derive unrivaled pleasure from riding on sandy and laterite tracks and using an easy to control but still powerful enough motorcycle. Arrival at Mwazaro beach Lodge for lunch; a quiet and peaceful place out of mass tourism. In the afternoon, a canoe excursion along the mangrove in search of crocs and bird watching. Return to the lodge as the sun sets over the mangroves. Dinner and night in palm-leaf thatched bungalows in front of an untainted beach of white sands. After breakfast, depart by motorcycle in the direction of Shimba Hills. 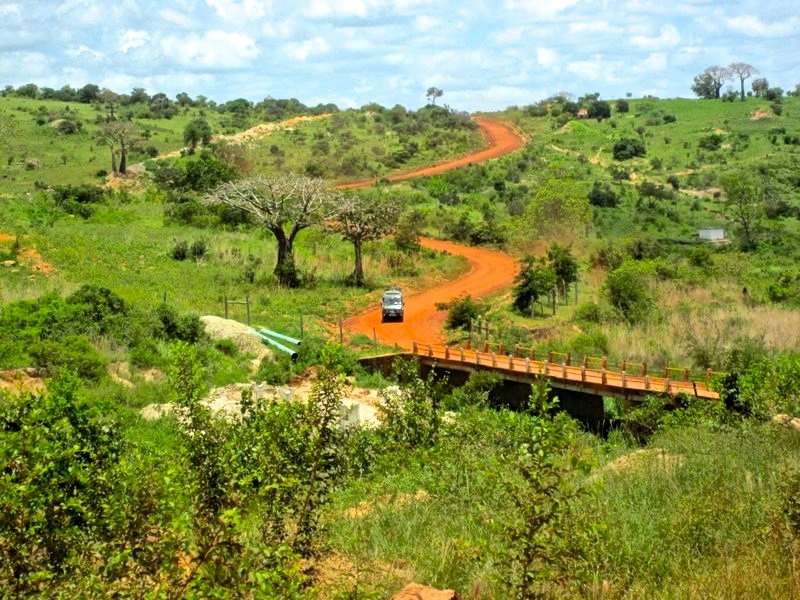 The track widens after crossing the Shimba’s Tropical forest, home to a good population of elephants. Lunch at Shimba Lodge (constructed in the lofty branches of the forest trees). In the afternoon visit Shimba Hills Game reserve aboard a 4WD car.. return to the lodge for dinner and night. Meanwhile enjoy observing various animals that come to drink from the minerals rich natural ponds in front of the lodge. The Taita Hills. The Taita Hills are remnant promontories of an ancient escarpment formed from a great rift about 20million years ago. Settle at Kitheghe Bungalows lodge which is owned and managed by the local community. Night in the bungalows which have a beautiful view over the wooded savanna of Taita. 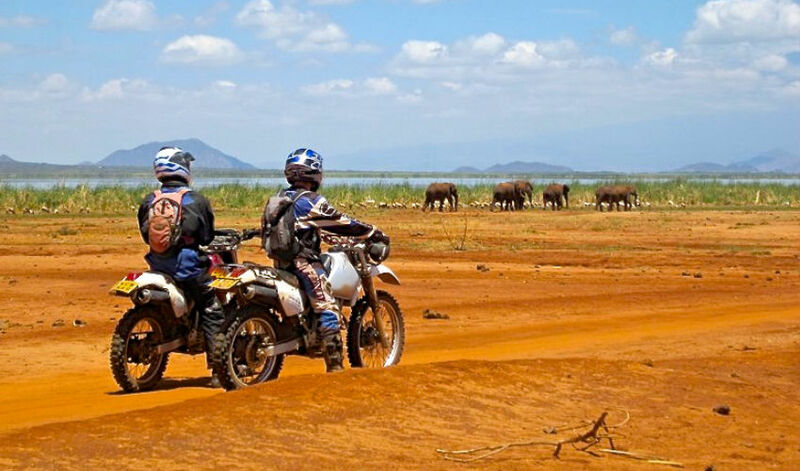 Depart after breakfast taking a track that runs through the wooded savannah ranches of Taita, an expansive area that is a wildlife migratory corridor between Tsavo and Tanzania and mainly inhabited by livestock herders. 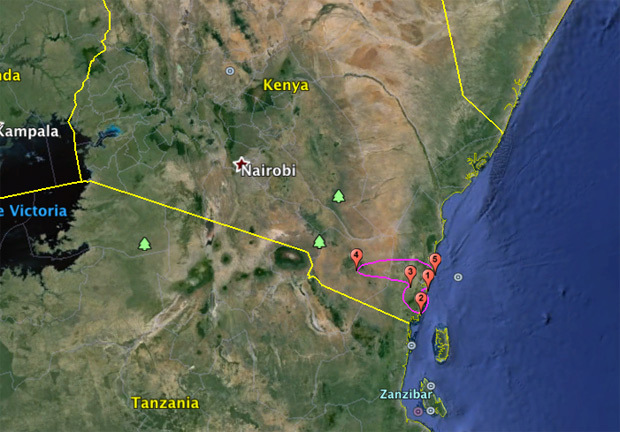 Picnic lunch en route then further on, the track joins the Nairobi-Mombasa highway. 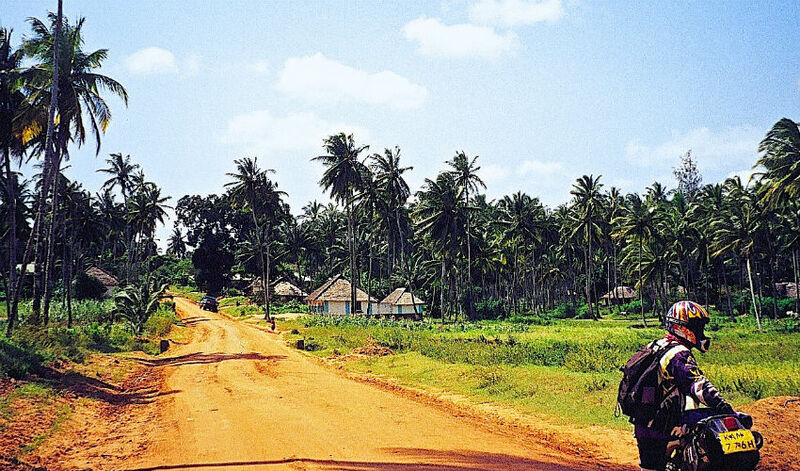 Further on turn off into an earth road that approaches Mombasa from the hinterland and passes again through the Shimba Hills tropical forest. Arrival back to Papillon Lagoon Reef hotel at end of the afternoon. 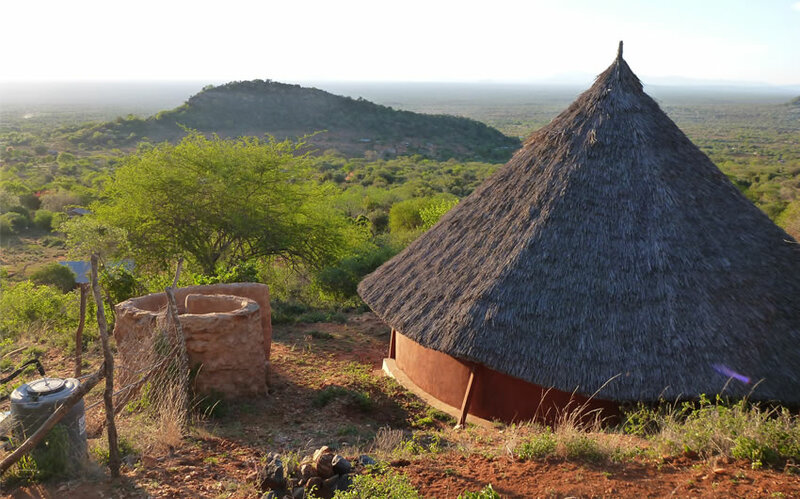 An authentic and colourful week which combines beach, biking, encounter with the local peoples and discovery of game reserves.